When hiring catering equipment, there are 5 main things to look for – we hope these will help! 1. Make sure you are hiring from a reputable company – there are plenty of catering equipment hire companies around, all of whom offer you a variety of different products, prices and, let’s be honest, different levels of customer services. Try to hire from a catering equipment hire company you know and, more importantly, that you trust! 2. You need clean catering equipment! - Perhaps one of the most important factors about hiring commercial catering equipment is that it needs to be clean. Everyone understands that if you are hiring equipment for catering, then this equipment is used a lot by various caterers throughout the year and so it is unfair to assume that it will be as new. However, there’s no excuse for unclean catering equipment. Work with a company you know is going to provide you with the best catering equipment hire products in the best state – the last thing you need to be doing in the lead up to your busy catering event is having to clean your catering equipment! 3. ...and you need tested catering equipment! – Your electrical and gas catering equipment hire products need to be tested. Good hire companies ensure that their equipment is tested as part of their commitment to customers. Electrical catering equipment should be PAT tested and gas catering equipment should be LPG tested by qualified personnel. 4. One stop shop – Why not work with a catering equipment hire company such as Event Hire UK which is able to provide you with not only the catering equipment you need, but also the glassware, crockery and cutlery to cater for your big event. By hiring all the equipment you need from one place, this mean that you have less hassle due to a single delivery and collection, a single invoice and a single point of contact! 5. The customer service is right – Yes, price is important, but is it everything? When you are catering for a large event, you want to make sure that you are paying a competitive price for a quality service and great catering equipment rental products. It is like anything else...you get what you pay for. 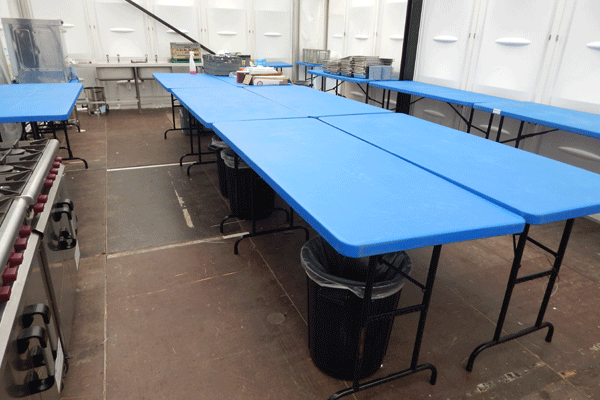 Catering equipment hire companies such as Event Hire UK are here to provide you with all the above to help your event go smoothly and it be a phenomenal success. Work with the experts today for all your event equipment requirements – we’re here to help!